WikiLeaks published a letter from the U.S. Senate Intelligence Committee on Wednesday that asked Assange to make himself available to testify in person at a closed hearing as part of its investigation into whether Moscow meddled to help Donald Trump win the 2016 presidential election. [post_ads]"The U.S. Senate Select Committee request confirms their interest in hearing from Mr. Assange," lawyer Jennifer Robinson said in a statement. "The inquiry has asked for him to appear in person at a mutually agreeable time and place. We are seriously considering the offer but must ensure Mr. Assange's protection is guaranteed." There were no details about how any interview with the U.S. senators would be carried out, and a spokesman for Assange said: "Anything is possible with this." Last month, a U.S. federal grand jury charged 12 Russian intelligence officers with hacking the Democratic computer networks as part of Moscow's meddling in the election to help Republican Trump. 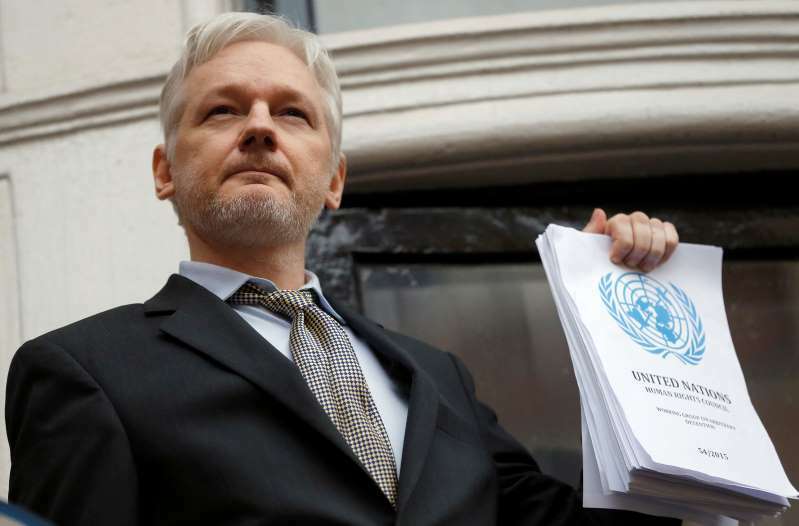 The U.S. committee's request comes at a time of growing speculation about Assange's future and his possible ejection from the embassy after six years.